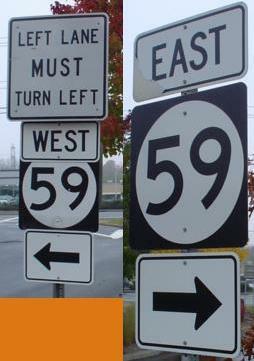 NY 59 is a multilane divided arterial that parallels the New York Thruway and can be a useful detour when traffic backs up. 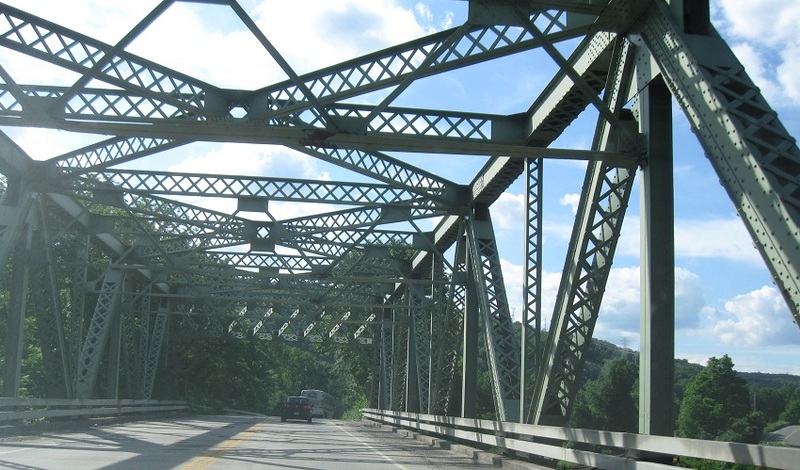 It runs east-west between the N-S portion of NY 17 and US 9W. 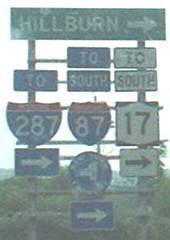 NY 59 isn't yet multilane, west of Suffern on what was NY 17 until the completion of Thruway Exit 15A. 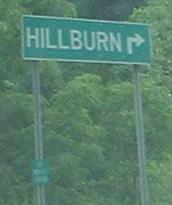 On the quarter-mile of extended 59, there are still NY 17 reference markers (little green squares like on the advance Hillburn sign), regardless of what it may actually be, and those state highway markers continue onto the Bypass, which may not even be state-owned anymore. 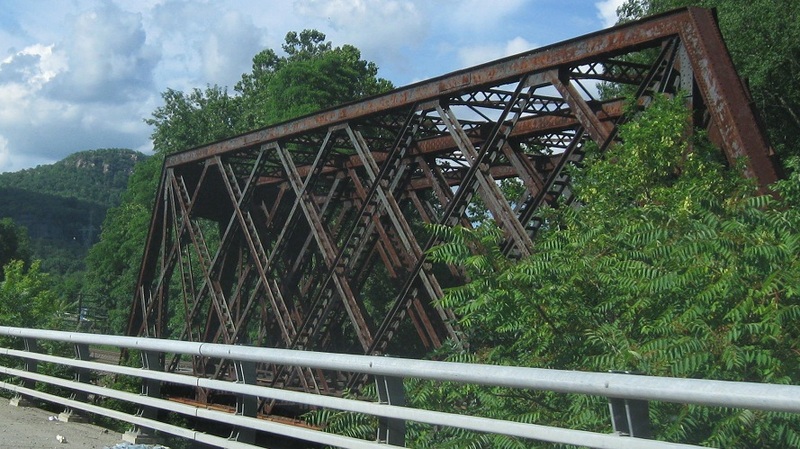 WB across the Ramapo River on an old truss, next to another old (railroad) truss. 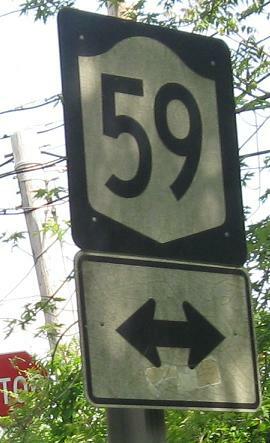 The only old sign I found along NY 59, Monsey Heights Rd. NB. An imaginative use of green signs when the white ones inside them would do just fine. Lou Corsaro found these at the exit to a strip mall.